This document summarizes the early years of the parish community of St. Paul's Episcopal Church, from 1868 to 1920. St. Matthew's Episcopal Church was organized March 23, 1868, in the office of the cashier of the First National Bank at 36 East Main Street, Marshalltown. It sprung into being when optimism following the Civil War spurred rapid growth throughout Iowa. The city in 1868 had reached a population of almost 3,000, yet only 15 years earlier three families were waiting for the site to be platted. By 1868 six denominations had organized congregations, four had built their houses of worship. The state of Iowa had a population of less than 100,000 when it was admitted to the Union in 1846. By 1868 it had increased tenfold, counting almost one million citizens. The Diocese of Iowa was organized in Muscatine in August of 1853 when only seven clergy and eight parishes or mission stations were eligible to send lay delegates. Within 12 years Henry Washington Lee, the first Bishop of Iowa, reported 45 parishes, 24 clergy and 1,248 communicants. The Bishop was an energetic Evangelical-minded man with some High Church preferences. He was from Rochester, NY, where affluent friends, anxious to see the Evangelical trend grow in Iowa, gave generously to support his work. Hastily organized, many parish members failed to have deep or formal commitment to the Protestant Episcopal Church. Thus when the recession of the 1870's diminished Eastern financial support, some fledgling parishes disbanded. A shortage of clergy plagued his efforts. Less than half of the 56 Parishes had resident priests in 1874. The first Episcopal services in Marshalltown were held in 1863 by Rev. X.A. Welton, a missionary presbyter from the Gethsemane Mission in Goshen, a village in southeast Story County, later named Iowa Center. Those services were held in Woodbury Hall, a large area on the third floor of the 1862 Woodbury Building, still standing in 1993, at 32-34-36 East Main Street. Bishop Lee and Rev. C.S. Percival of Cedar Rapids held services in Woodbury Hall in 1864. Several times in 1867 they held services in the new Presbyterian Church at 101 South Center Street. "At a meeting held in the office of C.W. Fracker on the 23rd of March, 1868, of those in favor of organizing a parish in communion with the Protestant Episcopal Church of the United Stated of America and the Diocese of Iowa, Rev. C.S. Percival was called to the chair and J.H.H Frisbee chosen clerk. "On motion of C.W. Fracker, Resolved that this meeting proceed to organize a parish in accordance with the canons of the Protestant Episcopal Church of Diocese and the laws of the State of Iowa. "Resolved that said parish shall be called and known under the corporate name of St. Matthew's Church of Marshalltown, Iowa. "Resolved that vestrymen of said parish shall consist of seven, to be hereafter annually elected on Easter Monday in each year according to the requirements of the canons of the Diocese. "A meeting of the Vestry was immediately thereupon organized at which Herman Howe was chosen Senior Warden; Charles W. Fracker, Junior Warden; A.C. Abbott, Treasurer and J.H.H. Frisbee, Clerk. "On motion resolved that C.W. Fracker and A.C. Abbott be and they are hereby authorized to procure suitable accommodations for holding services. "Resolved that C.W. Fracker be authorized to call meetings of the Vestry. Articles of Incorporation were filed April 14, 1868. C.W. Fracker and A.C. Abbott found they could rent the German Lutheran Church at 18 East State Street, as soon as the Baptists moved into their new brick church at 7 East Church Street. The Rev. C.S. Percival began holding services on alternate Sundays, beginning in June 1868. His salary was $500 per year. An organ and organist were obtained and in due time a sexton, lamps and fuel. Rev. Percival listed 34 families in St. Matthew's first Ledger. Some reminded on parish rolls the rest of their lives, but many moved on to other frontiers. Herman Howe, retired, age 67, Senior Warden, lived at 202 West Main with wife Lucinda and sons John Henry 28, and Charley 22. Family members remained in Marshalltown after Mr. Howe's death in 1883. Charles West Fracker, 38, Junior Warden, sold real estate and insurance from an office in The First National Bank. He lived with his wife Mary, son Frank and three daughters at 208 East State Street. The family left Marshalltown in the early 1880's. Albert Cutler Abbott, 32, Treasurer, founder of Abbott Hardware at 1 West Main Street, was a lifetime leader in business and civic activity who lived at 207 East Main with wife Mary Watson Abbott, sons James W. and Lewis C. and daughters Helen E., Mary, Annie, and Jennie K. He served on the Vestry repeatedly, was supportive of the church throughout his life, as were his children. Helen married A.G. Glick, became the mother of Fletcher, husband of the late Margaret Glick. John Henry Hobart Frisbee, Cashier of the City Bank at 2 West Main, lived with his wife Mary Magdaleen at 102 North Fifth Street. Frisbee was the first Clerk of the Vestry, Treasurer of Marshalltown in 1878 and Mayor 1882,'83, '84 and '85. The Frisbees had no children; they lived in the city until his death in 1911. Vestryman Edwin Green Sleight, 37, came to Marshalltown in 1862, built the first grain elevator in the city near Third Avenue and Market Street. He built a fine home on the high grounds at 303 South Third Avenue that was demolished in the late 1980's. He and wife Emily had three daughters and one son. Emily helped establish St. Matthew's Church School. The Sleights moved to Chicago in 1890. Vestryman Clinton Culver Lytle, who was 38, his wife Jane 29, and daughter Fannie 3, moved to Dennison in 1873. Vestryman William W. Williams 26, wife Susan 24, and infant Bourdette moved to Emporia, Kansas in 1869. The Rector, Chester Smith Percival, was 46. He came to St. Matthew's from Grace Church, Cedar Rapids. He served the Mission at Tama part of his stay in Marshalltown. In 1870 his salary was $1100 per year for full-time pastoral care. When he accepted a call to Independence, Iowa in 1871, St. Matthew's parish rolls had grown to 65 families with 92 communicants. Rev. Percival and wife Elizabeth had three daughters; May 15, Clara 17 and Harriet 20, who became St. Matthew's first bride when she married Byron Webster in October 1869 in St. Matthew's Chapel. The couple lived in Marshalltown all their lives. He became an outspoken and influential editor of the Marshalltown Statesman, a strong local paper in the '80's and '90's. Their grandson, Byron, lived in the city until about 10 years ago. The Vestry bought the former Lutheran Church for $1,500 in 1870 and named it St. Matthew's Chapel. This building is still standing in 1993 attached to the rear of a two-story addition facing State Street. 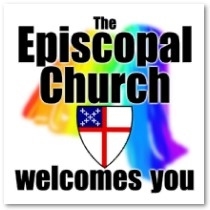 When the Swedish Lutheran congregation offered $2,000, the Episcopalians sold the chapel, giving title in May, 1871 and voted to build a larger building. A.C. Abbott and C.W. Fracker were appointed to head the fund-drive. Vestrymen G.F. Kirby, Abbott and Bryon Webster were in charge of materials and construction. Kirby had an engineering degree from a reputable Eastern school, had built the second bridge across the Mississippi river (above St. Louis) in 1860 and had been in charge of the construction of the first railroad to cross Iowa. After settling in Marsahlltown, he bought the LeGrand Quarry. The lot selected was at the southeast corner of Church and Second Avenue, a 60' x 180' lot for which they paid $800. Dr. George Glick and family lived on the northeast corner of this intersection. He built the brick home now owned by the Historical Society of Marshall County about the same time the Episcopalians were building. Marshalltown architect, G.F. Kline, drew the plans and construction began in mid-summer. The cornerstone was laid August 29, 1871, at 10 a.m. with Bishop Lee, assisted by Rev. Percival and Rev. Samuel Edson of Grace Church, Cedar Rapids, in charge of the ceremonies. The stone, placed in the northwest corner, included Episcopal documents, issues of local newspapers and a photograph of the architect's plans. The edifice, built of LeGrand limestone, was expected to cost about $8,000. In addition to funds raised locally, $3,000 was borrowed from Mary Cooke of New York City. The note bore 10% semiannual interest and was payable September 1874. While the building was under construction, parish members met periodically in the Courtroom on the second floor of the County Courthouse at 10-12 South First Avenue with Rev. Thomas B. Kemp of Oskaloosa in charge of services. Church School meet regularly on Sunday afternoons in Rice's Hall on the second floor of 35 West Main. In February of 1872 the Vestry called Rev. Kemp to the rectorship at St. Matthew's offering $1,200 per year. He declined. The Vestry offered Rev. R.D. Brooke of Davenport $1,500 in June. He declined. On July 14, 1872, the new stone church was officially dedicated by Bishop Lee and Rev. Kemp. In September, Rev. W.F. Morrison of Des Moines became Rector of St. Matthew's. The Vestry affixed annual rentals on 66 pew spaces at $10 to $50. Treasurer G.F. Kirby's records show most of the rentals were paid, however the Vestry dropped the system in September of 1874. Mrs. Upson, an organist, was employed to "play and sing" for $200 per year. St. Matthew's hosted the 20th Convention of the Diocese of Iowa, May 1, 1873. Even though Bishop Lee had established 56 parishes by this time, many were weak, only 23 were entitled to representation, and only 17 sent lay delegates. A recession was developing, Eastern funds were drying up, morale was low, and the Bishop, saddened and aging, died from a fall September 26, 1874. The Vestry, dissatisfied with Rev. Morrison, had terminated him in June 1873. They issued a call to Rev. R.D. Brooke again. This time he accepted, beginning September 1, 1873. The records show good attendance and contributions while Rev. Brooke served St. Matthew's. The major expense, other than salary, was heating the church. Sixteen and one half cords of firewood costing $7 each were consumed. The Ladies Society had a Festival at the Abbott home, one of several fund-raisers, which enabled the ladies to contribute $428.02 to the church. The debt became $6,000 and it was difficult to meet interest payments. Rev. Brooke stayed only one year, called elsewhere in August 1874. The vestry regretfully accepted his resignation. His salary was paid in full. Because of financial concerns and the shortage of clergy, the Vestry discontinued regular service temporarily. The pulpit was filled when supply priests were available. The ladies Society and Church School met regularly. In 1875, Mrs. Sleight's "Sunday School" gave $51.85 to the church and the Ladies Society gave $498.55. Church members contributed $25 to $100 each. Even Lyman Cooke of New York, whose sister held the mortgage, contributed $25 and permitted a renegotiation of the loan, extending the $5,000 then owed for 5 years at 10% per year. In the spring of 1876, the Ladies contributed another $225 and the Rev. C.T. Stout of Ft. Dodge was called to St. Matthew's beginning August 1, 1876, at $1100 per year. The Vestry provided the church kitchen with a large bake stove and six wall bracket lamps. Bishop William S. Perry, the second Bishop of Iowa, visited St. Matthew's in December, 1877. He confirmed nine persons. Charles Heitshu was confirmed at that time. He became a long time and much appreciated member in whose memory the reredos was given by the mission. Financial matters worsened. The main topic of the January 28, 1878, meeting in the Abbott home was foreclosure of the mortgage. Rev. Stout resigned in the spring of 1878. The Vestry voted to deed the church to the Cooke Estate, and to continue the organization of the church, holding services in rented space whenever possible. The Rev. Percival, Principal of Percival's Academy in Marshalltown, offered to keep up the church records and hold services as desired for the amount of the offering. When the parish assembled for the annual meeting April 21, 1879, it was announced that the Cooke Estate would settle the mortgage for $4,000. Bishop Perry offered his personal note for $2,000 if the parish would raise $2,000. Vestry records are vague about the response to this offer. Eventually foreclosure occurred and the Vestry on March 30, 1880, agreed to sell the parish property within the church to satisfy local debts. This property included two organs, pews, carpet, book cases, etc. There is no record of this sale, however it may be assumed that the Unity Universalists were the purchasers, for they had bought the church for $4,000, taking possession March 1, 1880, and would have needed those furnishings. The Unity Universalists, organized in 1858 in the city, incorporated February 16, 1880. They worshiped in the stone church more then 15 years before they weakened and leased it to other denominations. The Peoples Church was meeting there in 1897. The Church of Christ Scientist leased the building from October 1899 until their building at 412 West Main was completed in August 1903. Title to the stone church was transferred to The Universalist Convention of Iowa in 1901. At that time paving and sidewalk taxes had not been paid and there was a $2,000 mortgage on the church. J.H.H. Frisbee was still Senior Warden of St. Matthew's Parish where the Vestry met in January 1883 and decided to have regular service again. They arranged for Rev. C.S. Fackenthall to become Rector for $1,200 per year and leased the third floor hall in the new Sears building at 105-07 West Main Street for $70 per month. The Knights of Pythias held meetings there on week nights. The parish held their annual meeting March 26, and voted to change their name from St. Matthew's to St. Paul's. A.C. Abbott was named Senior Warden and J.E. Henriques of the City Bank, Treasurer. Finances were encouraging. When Rev. Fackenthall resigned in October, Rev. F.E. Judd was called to replace him. Rev. Judd was well known in the Diocese, having served it since 1858 when he began at a Missionary Station at Mt. Pleasant for $75 per year. He had been secretary to the Diocesan Board of Missions and editor of the Iowa Churchman. He came to St. Paul's from the rectorship at Brooklyn. The Vestry began to discuss building a modest frame church. They asked the Ladies Society to help fund this project and chose a lot at 107 North Center Street. They voted to purchase the lot for $1,025 and vest the title in the President and Secretary of the Ladies Guild. Mr. F.M. Ellis, local architect, helped plan the building. In August of 1884 the Vestry voted to "loan the money raised for the Church Building Fund to the Ladies Guild for the purpose of aiding in the building Guild Hall." Construction of the 30' by 70' structure was completed in June of 1885. It was a white frame building with stone steps leading to the entrance. The interior was white with gold trim. With furnishings it was insured for $2,500. Incorporation of St. Paul's Church of Marshalltown was recorded June 10, 1886. Officers were A.C. Abbott, Senior Warden; J.E. Henriques, Junior Warden ; G.R. Norris, Secretary-Treasurer; and Vestrymen A.B. Cox, Richard Reed, M.F. Andrews, and D.T. Denmead. Vestry records for the next 31 years are not available. However, the Parish Ledger is continuous and offers some historical data. Newspaper accounts and family records are also helpful. Rev. Judd served St. Paul's 10 years and should be credited for giving some much needed continuity. He lived at 200 South Third Avenue. During the 1880's the Diocese and local parishes were strengthened by more English immigration. St. Paul's membership was 135 in this period. Charles Heitshu was Superintendent of the Church School which met at 12 noon, following a 10:30 morning service and before time for the 5 p.m. evening service. Rev. Judd baptized 54 infants and adults in this decade and found time to write and publish a 44-page book for poetry entitled "The Owls". Rev. Joseph DeForest baptized 24 persons in the short time he was at St. Paul's. Rev. Clarence E. Webb baptized nine while he was at St. Paul's and added an 8 a.m. Holy Communion to the Sunday services. Rev. John K. Black, 12 South Fifth Avenue, served the parish five years, baptized 45 persons, from January 1898 to February 1903. He had four sons, one of which became an Episcopal Priest. Another, Herbert P. Black, remained in Marshalltown when his father accepted a call to Houston, Texas. His sons, John C. and Paul, and their families were members of St. Paul's. In 1897 a newspaper account described Guild Hall as cozy and unpretentious. It was enhanced in 1897 with towers on each side of the entrance and a $2,000 pipe organ. The proerty was valued at $15,000. The membership included a "prosperous Women's Guild" and a young ladies society organized in March of 1897, known as St. Margaret's Mission. The third Bishop of Iowa, the Right Rev. Theodore N. Morrison, DD., made his initial visit to St. Paul's Saturday, May 13, 1899, and remained until May 15, guest of Mr. and Mrs. John P. Woodburry whose home was at 407 East Church Street. Dr. Morrison was originally from Chicago. His grandfather was James Morrison who lived in Marshalltown in the 1850's. The Bishop's father, an Episcopal clergy, lived in Aurora, IL. A reception was held for the Bishop Saturday evening in the parlors of the Pilgrim Hotel at 302 East Main. He held confirmation services in Guild Hall Sunday. Rev. William Pence James accepted St. Paul's call in 1903 and remained 8 years until the parish was well settled in their original stone church. Thirty eight years after the cornerstone of St. Matthew's was laid, August 29, 1871, another stone was placed, August 29, 1909, in the stone church to commemorate the return of the parish. In the fall of 1908, the Vestry learned the 1872 stone church and a house on the south end of the lot could be purchased for $6,250. They also found someone willing to pay $3,500 for Guild Hall. At the annual meeting of 1909 members enthusiastically voted to sell Guild Hall and buy the original stone church. On a stormy Shrove Tuesday night, 50 men came for a Guild dinner and to hear the Vestry's plan. Committees were appointed and soon functioning. Architects Wetherall and Gage of Des Moines drew plans to add a chancel on the South, with a rood screen between the nave and channel, an organ bay or pipes and console on the east and a sacristy, office and chapel on the west. In the lower level under the chancel, an kitchen would be built with gas counter-top burners, work tables and wall cabinets. A new steam heating plant would be set up on the west in a furnace room with a coal room in the southwest. The old basement under the nave was to have finished walls and floor so it could be used as a parish hall for meetings and dinners. Choir vestments were to be kept in wooden closets along the southeast wall. Financing was arranged through contributions and debt at 5% interest. Construction began in April. The first goal was to make the building suitable for services because Isaac Hubler, who bought the Guild Hall, took possession in April and converted the building into an auto garage where he dealt in used cars and parts. The house and lot south of the church was sold for $2,500 in July of 1909. In July of 1955, St. Paul's bought it again, paying $16,000, so Great Hall could be built there. Guild Hall and Hubler's business burned when a large lumberyard on the north was consumed by fire in the 1930's. On a Wednesday morning, August 29, Bishop T.N. Morrison laid the 1909 cornerstone at the new southwest entrance. The stone, a plain block of gray limestone, bears the inscription, "ST. MATTHEW'S CHURCH 1871 REBUILT AS ST. PAUL'S CHURCH 1909" On the northwest face. "BUILT UPON THE FOUNDATION OF THE APOSTLES AND PROPHETS JESUS CHRIST HIMSELF BEING THE CHIEF CORNERSTONE. II-20" was cut into the southwest face. The copper receptacle within the stone contained church documents, local newspapers and a list of parish members. Rev. R.B. Bell of Des Moines continued the service saying "Ye are the temple of God . . . we thank God for this building and for those men and women who have the courage to rebuild it . . . may this St. Paul's Church grow daily in your city and in your love, for ye are the cornerstone of the living God." The services concluded inside with the celebration of the Holy Eucharist. When construction was completed the dedication of the facilities began Monday evening, January 24, 1910, with a musical program presented by organist Ralph Hix and soloists Mrs. Howard Wilbur and Mr. Ross Sallisbury. The organ, dedicated at that time, was probably the $2,000 instrument purchased for Guild Hall in 1897, installed in the organ bay of the new chancel. The following morning, January 25, Rev. James celebrated the Holy Eucharist at 8 a.m.
Bishop Morrison formally blessed and dedicated the church at a 10:30 service. His sermon was developed from Haggai II:9 "The glory of this latter house shall be greater than the former." Visiting clergy assisted the Bishop in the communion service. Lunch was served to a "capacity crowd" in the undercroft, recently equipped to serve 200. After lunch, Episcopal clergy from nearby parishes spoke about the mission of the Episcopal church in the Diocese and beyond. Dignitaries of the city emphasized the value of this and other churches in the community. Thus the parish officially settled into their expanded former church. Unfortunately scarcely any members who built the original edifice and suffered the agony of trying to pay for it, lived to see it returned to Episcopal ownership. However some of those who worked to regain it were their sons and daughters. The total cost of the project was approximately $17,000. Rev. William Pence James kept the only record of the reconstruction available at this time. After eight years at St. Paul's he resigned in 1912 to accept a call elsewhere. Then Rev. Harry Moore Babin of Trinity Church, Emmettsburg came to St. Paul's, his salary of $100 per month, was increased later. He stayed five years during which time the remaining debt, $4,551.00, was paid and the parish was mortgage free in 1915. Then Rev. Osee Celsus Fox from St. Mark's Waterloo replaced Babin June 1, 1917. He remained until May of 1920 when he accepted a call to Omaha.